Are you not average? Are you taller, shorter, heavier, or lighter than the "average" paddler? Do you have trouble finding a boat which fits comfortably? The practicalities of mass-produced boats makes it impossible make a standard product which will work for everyone. 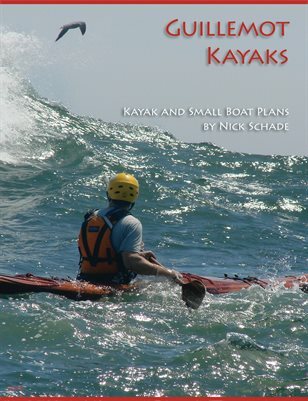 This forces most kayak builders to concentrate on the "typical" paddler. But if you are building your own boat or having one custom built, there is no reason to be tied down to a less-than-ideal design. I can create a custom design optimized for you. I use the latest software to create unique high performance small boat designs. I can create a design to meet your particular needs or desires. If you have a special need such as limited storage space, big feet, heavy or light weight, a handicap, or any other requirement. I have a wide selection of quality designs that may be customized for you. I also have a variety of boats on the drawing board that may strike your fancy. I can also create a design from a blank screen to specifically address your requirements. The price for a custom design is dependent on how complicated your designs needs are. I charge an modest hourly rate, but it is cheaper to modify an existing design than to create one from scratch.